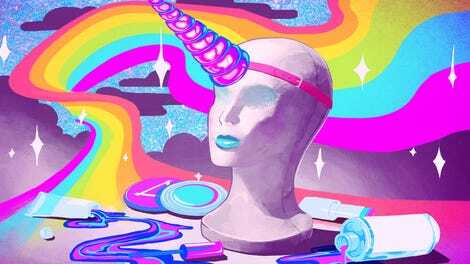 Unicorns have eaten the beauty industry alive. But what can the experts on antiquity teach us about these magical beasts? Ma’am, you are the expert, but I’ve got to believe that at least a few lewd blasphemers enjoyed joking about virgins and horns. There’s even a touch of unicorn beauty inspo!! in the form of a small carved bone hair parter designed to look like one of the mythical creatures. Even better, a few survive that fit into small spoons to form the handle of a tiny little earwax spoon, like a medieval q-tip. Eat your heart out, Sephora.